Amazon.com Price: (as of 2019-04-22 14:17:20 GMT) Product prices and availability are accurate as of the date/time indicated and are subject to change. Any price and availability information displayed on Amazon.com at the time of purchase will apply to the purchase of this product. The iPlay Splash Table is great for indoor play as well as out! 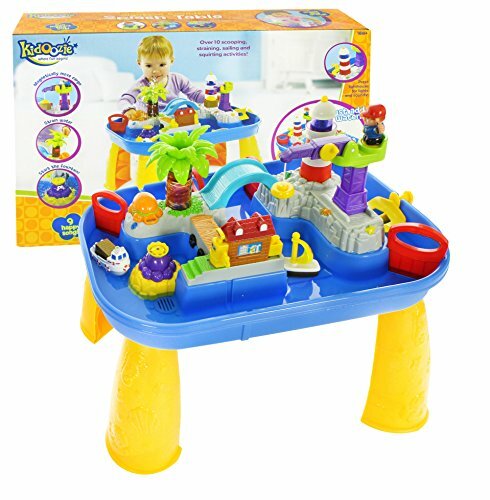 With lights, sounds and lots of activities this light-weight water table is sure to engange children in a world of water wonder. From straining to scooping to spinning the water wheel, it’s perfect fun for little ones! Fisher Price Amazing Animals Spinnin’ Around Musical Zoo for Just $24!